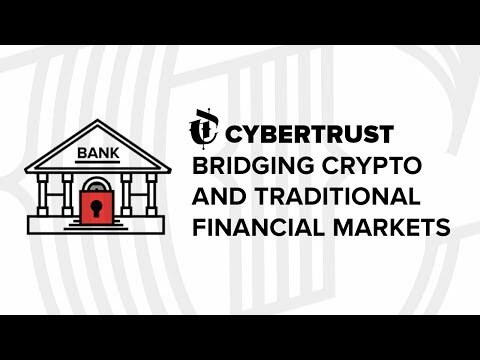 CyberTrust securities crypto assets such as Bitcoin, Ethereum and others. This enables institutional investors to take advantage of crypto markets since the resulting derivatives have a titled security claim to the underlying asset. Investors gain exposure to crypto asset price movements via a traditional investment vehicle but do not face the challenges that buying and safekeeping crypto assets entail. Crypto-Asset Backed Securitised Tokens (CABS) have been created by CyberTrust to fuel the securitisation process, with the sale of these tokens leading to the creation of a new crypto derivative market. How does the project create value to the ecosystem and differs from competing projects? The only thing comparable to our project is Grayscale, but Grayscale is only a crypto fund, whereas our platform will allow for the creation of derivative crypto-financial products that currently do not exist. This will facilitate increased interest in cryptocurrency investment from large investment funds (institutional investors), thereby leading to an increase in the market capitalisation of crypto assets. CyberTrust raised 11,000,000 USD in a closed round. Luxembourg jurisdiction becomes the base for the project. Ethereum Fund starts project development. Project framework is reworked. Service providers approved new framework. The claim standards of GCN securitisation are developed. The appointment of the licensed Luxembourg third party administrator for S.V. Ernst & Young becomes the auditor. Dutch Foundation is created. BTC, ETH or BCH Global Crypto Notes are approved for clearing & settlement by Clearstream Banking S.A.
BTC, ETH or BCH Global Crypto Notes are listed at large OTC markets worldwide. Luxembourg Custody license is approved. Brokerage license received by regulatory approval or M&A.